New Book Asks: "Can You Be Pro-Choice and Christian?" New Book from Westminster John Knox Press, Pro-Choice and Christian, examines the political, social, and theological history of abortion in the United States. The shame and stigma surrounding abortion and unwanted pregnancies, particularly in religious circles, are a huge impediment to having honest and forthright discussions about something nearly a third of women have gone through. In a culture where many liberal-leaning churches have taken strong positions on social justice issues like raising the minimum wage and Black Lives Matter, even progressive churches have remained silent on the issue of reproductive rights. 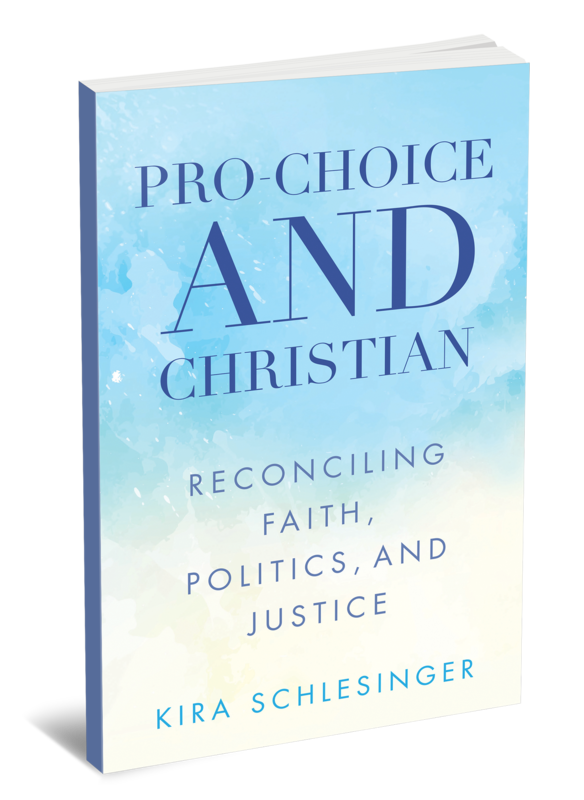 Looking at the social, political, and theological history of how Christians have understood abortion, Pro-Choice and Christian: Reconciling Faith, Politics, and Justice (Westminster John Knox Press) looks to give tools to Christians who previously have been uncomfortable speaking out. By re-framing what “pro-life” means for all people—women, children, and their families—readers can begin to have conversations with those who are anti-abortion so that we can work together to alleviate the conditions that cause women to seek abortions. "The shame and stigma surrounding abortion and unwanted pregnancies, particularly in religious circles, are a huge impediment to having honest and forthright discussions about something nearly a third of women have gone through," Schlesinger writes. "Finding common ground in the principles of our faith and who we believe God to be leads us to more complete and expansive “pro-life” principles that support the flourishing of all people." Kira Schlesinger is priest-in-charge at Episcopal Church of the Epiphany in Lebanon, Tennessee.